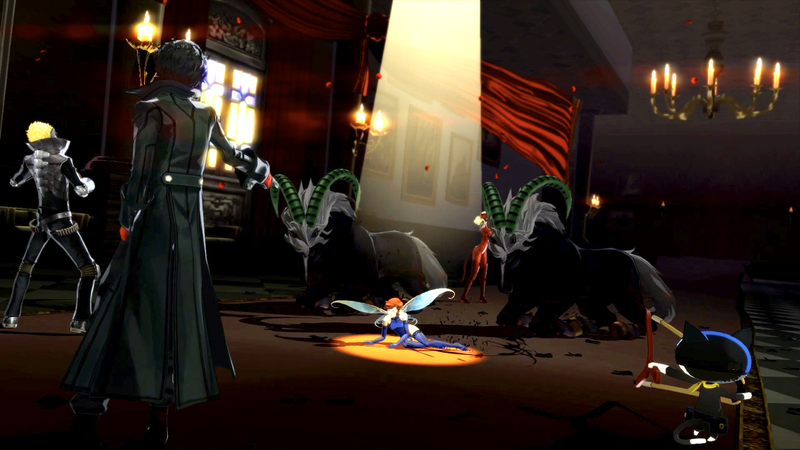 The new RPG Persona 5 brought back the Shin Megami Tensei series staple of demon negotiation. In order to acquire new Personas, you have to chat with them. But the guide for getting this right is hidden away (h/t Twitter user Aeana!). When you knock down an enemy group in Persona 5, you can convince them to join you or give you stuff by selecting from a series of brief conversation options, just like you can in many Shin Megami Tensei games. Part of the charm of this demon negotiation is getting it wrong. Personas are fickle, and they don’t really get human interactions, and the results can sometimes be pretty fun. If you don’t flirt enough with a Pixie, for instance, they might take it as a grave insult. Sometimes, however, you just really need a monster that knows Bufu and don’t have time to mess around. Well, there’s a guide for demon negotiation buried in the menu, and it’s got a lot of helpful tips. Winning over a Persona has to do with its personality type. Personas can be Upbeat, Timid, Irritable, or Gloomy, and they all like different kinds of answers to their questions. While it’s not too difficult to guess what kind of personality you’re dealing with, you can check on their personality type by looking at the analysis screen or selecting it during a Hold Up. What the game also won’t tell you is that after you obtain and fuse a Persona, you won’t have to deal with negotiations at all. Next time you encounter a Persona you’ve already recruited, just decline to negotiate and they’ll automatically join you, no conversation necessary.